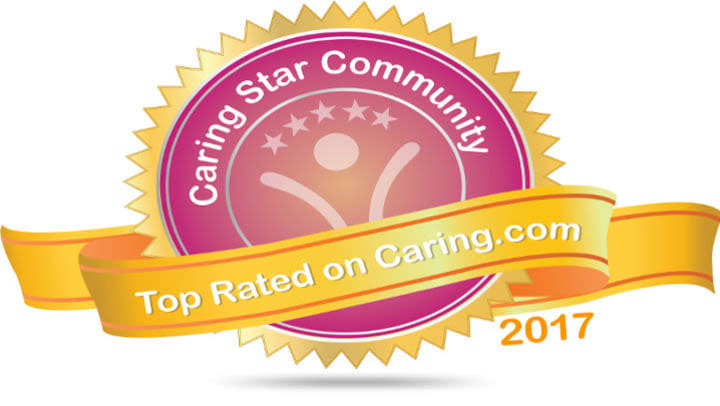 Each year since 2012, Caring.com (a leading senior care website) has recognized the very best senior living communities nationwide based on consumer ratings and reviews. Those communities that meet a set of strict criteria are honored with the "Caring Stars" award, which helps families and older adults narrow their options and choose high quality senior living communities for loved ones or themselves. Pacifica Senior Living Ocala is a senior living community that made the grade for 2017. In fact, it's one of only two senior living communities in Marion County -- and 1 of 34 in Florida -- that achieved this top-rated distinction. In order to qualify, Pacifica Senior Living Ocala had a good volume of consumer reviews across several years, recent reviews, 5-star reviews, and responses to reviews they'd received too. This feedback collection demonstrated how great they are in delivering service excellence. • "The staff is relaxed, attentive, and respectful to their residents. They obviously strive to provide the feeling of Home." • "They are always smiling and eager to help. The residents are smiling and laughing. I believe they are happy too. Overall, great atmosphere every time we go." • "This community is awesome…The building is beautiful, we had a wonderful lunch. I would recommend this (community) to anyone." In announcing the winners this year, Caring.com's CEO Karen Cassel said, "Finding professional senior care for an aging parent or ailing spouse can be overwhelming and time-consuming, particularly if your need is urgent and you have little-to-no knowledge of your options. At Caring.com, we're focused on helping ease that burden for family caregivers, and the annual Caring Stars list is one of the free resources we offer to support them in the senior care search. Everyone wants the very best care for their loved ones, and Caring Stars helps family caregivers find the providers that have delivered excellent service for others like them." Well done Pacifica Senior Living Ocala! And thanks to everyone who posted reviews about this stellar community!